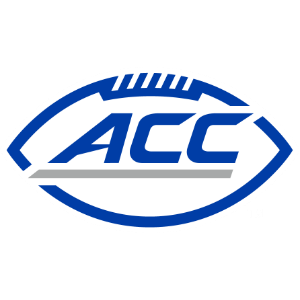 News from the world of ACC Football heading into Week 8 of the 2017 college football season. Three intra-divisional battles – Wake Forest at Georgia Tech, Syracuse at Miami and Boston College at Virginia – are part of the ACC schedule on Saturday, Oct. 21. The Atlantic Division holds a 5-2 lead over the Coastal this season. Historically, the Atlantic owns a 114-105 advantage in the 219 games played to date, which also includes ACC Championship Game contests. No. 8/7 Miami looks to stay unbeaten when the Hurricanes face Syracuse at Hard Rock Stadium on Saturday, Oct. 21, at 3:30 p.m. on ESPN. The Orange is coming off a 27-24 upset win over No. 2 Clemson, and has improved to 4-3 under second-year head coach Dino Babers. Syracuse receiver Steve Ishmael leads the nation in receptions, while teammate Ervin Philips is third. Miami (5-0 overall, 3-0 ACC Coastal) has won 10 consecutive games dating back to last season, which is the nation’s second-longest winning streak. The Hurricanes stayed perfect with a 25-24 come-from-behind victory over Georgia Tech last Saturday. Miami converted a fourth-and-10 to set up Michael Badgley’s 24-yard game-winning field goal with four seconds remaining. Miami moved to No. 8 in this week’s Associated Press Top 25 poll and No. 7 in the Amway Coaches poll. That is the highest AP ranking for the Hurricanes since Oct. 27, 2013, when they were seventh. Miami is one of four ACC teams ranked in the top 25 polls. In the AP poll, Clemson leads the way at No. 7, followed by the Hurricanes at No. 8, Virginia Tech at No. 14 and NC State is tied at No. 16. In the coaches poll, Miami is seventh, Clemson is eighth, Virginia Tech is 14th and NC State is 17th. After a week off, No. 14/14 Virginia Tech returns to action this Saturday against North Carolina in Blacksburg at 3:30 p.m. on ESPN2. Virginia Tech has won 10 of 13 ACC meetings versus the Tar Heels since joining the ACC, including a 34-3 victory in a matchup of top 25 teams last year in Chapel Hill. Looking to end a three-game losing streak, Duke welcomes Pitt to Durham for a 12:20 p.m.kickoff on the ACC Network. Pitt has won four straight at Wallace Wade Stadium. Boston College travels to Virginia to face the 5-1 Cavaliers. The Eagles’ 5-0 record in the series includes three ACC victories (28-17 in 2005 at home, 14-10 in 2009 at Virginia, 17-13 in 2010 at Chestnut Hill). Clemson saw its nation’s best 11-game win streak end at Syracuse last Friday. The Tigers have this week off before an Oct. 28 contest against Georgia Tech. NC State, which won at Pitt last Saturday, also has a bye this week. Georgia Tech and Wake Forest renew a series under the lights at Bobby Dodd Stadium on Saturday at 7:30 p.m. on ESPNU. This will be the first game between the schools since the Yellow Jackets’ 24-20 win at Winston-Salem in 2010. Each of Georgia Tech’s two losses came by just one point. The Yellow Jackets lost 42-41 to Tennessee in the season opener and fell 25-24 last week at Miami. Georgia Tech’s average margin of victory in its three wins is 27.0 points. Virginia is 5-1 for the first time since starting the 2007 season 7-1 en route a 9-4 record and a berth in the Gator Bowl. Florida State’s five opponents to date are 19-4 overall, a winning percentage of .826. That is the highest opponent winning percentage of any team in the nation. The Seminoles’ schedule, including future opponents, ranks third nationally with a .673 winning percentage. Clemson has been ranked in the top 10 of the AP poll in each of the past 34 weeks. That ties Alabama for the longest current steak in the nation. NC State is tied for 16th in the AP Top 25 poll this week. That is the Wolfpack’s highest ranking since it was ranked 14th on September 1, 2003. Florida State head coach Jimbo Fisher (80-20, .800) and Clemson head coach Dabo Swinney (95-29, .766) are the two winningest coaches by percentage in ACC history. Louisville QB Lamar Jackson became the fastest player in league history to gain 10,000 yards of total offense, accomplishing the feat in just 31 games. He is only the second junior to top the 10,000-yard mark, joining Clemson’s Deshaun Watson who did so in 33 games. Jackson’s career total now stands at 10,926 through 32 games. He ranks fourth on the ACC career list, trailing only Watson (12,097), Tajh Boyd of Clemson (13,069) and Philip Rivers (13,582) of NC State.